SAN FRANCISCO, CA — A new report by Consumers Union, the policy and advocacy division of Consumer Reports, identifies a number of existing technologies that phone companies could use to block unwanted robocalls from reaching their customers. Robocalls are a top consumer complaint but the phone companies have failed to offer effective tools to stop them, according to the consumer group. The report, “Dialing Back: How the Phone Companies Can End Robocalls,” is being released as part of Consumers Union’s End Robocalls campaign. Launched earlier this year, the campaign has mobilized hundreds of thousands of consumers across the country to demand that the nation’s top phone companies offer their customers free call-blocking tools to stop unwanted robocalls. So far, over 550,000 people have signed Consumers Union’s petition urging AT&T, CenturyLink, and Verizon to take action. The report is being released along with a new Consumer Reports National Research Center survey which found that more than three-quarters of consumers who received a robocall in the past 30 days agree (25%) or strongly agree (54%) that robocalls are a problem. 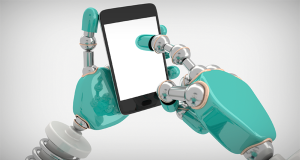 One-third of consumers (32%) who typically get at least one robocall a week, reported that they would be highly likely to switch to a new phone company if it offered free tools and services for blocking robocalls. Phone companies could easily offer a filtering service to consumers with modern phone lines. For example, third-party companies have already developed smartphone apps that block unwanted calls. The phone companies should offer this kind of technology directly to their customers for free. Nomorobo, a free robocall-blocking service, is currently available to many consumers with Internet-based service, or VoIP (Voice over Internet Protocol). The phone companies should offer Nomorobo or a similar free service directly to their customers. The Primus Telemarketing Guard effectively blocks robocalls and has been available at no extra cost to traditional landline and VoIP users in Canada for years. But phone companies in the U.S. are not offering a similar service to their customers. According to Primus Canada, its Telemarketing Guard could work for traditional landline, VoIP, and wireless customers in the U.S.
Filters that can block calls at the “gateway” between networks have also been proposed and could potentially work for traditional landline, VoIP, and wireless customers. Companies have the technology to reduce call “spoofing” – the practice of disguising the origin of robocalls on Caller ID. This would improve telephone security and call filtering techniques. Americans have registered more than 217 million phone numbers on the Federal Trade Commission’s “Do Not Call” list, yet robocalls are rampant. Last year, the FTC received 3 million complaints from the public about unwanted calls, many from scammers or companies that flagrantly violate the law. Telephone scammers target the elderly and other vulnerable consumers, resulting in an estimated $350 million in financial losses annually. The Consumer Reports robocall survey was fielded by GfK from September 11-13, 2015 to 1,022 adult U.S. residents. To qualify for the survey, panel members must have been age 18 or older. To sample the population, GfK sampled households from its KnowledgePanel, a probability-based web panel designed to be representative of the United States (state samples were targeted using Profile data). The margin of error for this survey is +/- 3 percentage points for the full sample.